1. 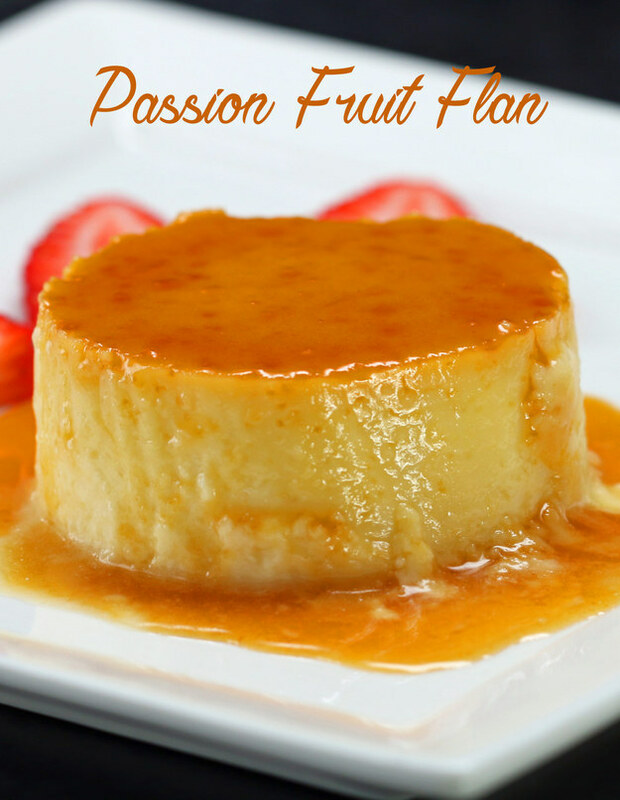 Pour a cup of sugar and 1/3 cups of passion fruit juice into a saucepan over a medium heat. Let the sugar melt and form a golden color. Don’t over stir. Take off the heat. 6. When you’re ready to serve the flan, run a knife around the edges to loosen, place a dish over the top of the ramekin and quickly invert it. Enjoy! 10 Ways to Improve your Workouts.. Feeling frustrated, not getting results?